Ini dia cita pasal perjuangan Che Guevara yg slalu kita dgr. Saksikanlah. On November 26, 1956, Fidel Castro sails to Cuba with eighty rebels. One of those rebels is Ernesto “Che” Guevara, an Argentine doctor who shares a common goal with Fidel Castro – to overthrow the corrupt dictatorship of Fulgencio Batista. 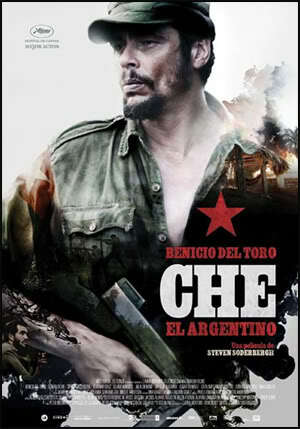 Che proves indispensable as a fighter, and quickly grasps the art of guerrilla warfare. Fidel Castro on TV is reading a letter from Che Guevara, so we are left to grasp why Che is about to leave his family and his wife to go to Bolivia to start another revolution, this is 1966, and, in disguise, he flies to La Paz. Here he meets with two or three other revolutionaries and catches the bus, changes to a jeep and eventually arrives at a broken down old shed, far enough away from civilisation to start his insurrection. Soon he is joined by Tania another revolutionary and they go further into the jungle. 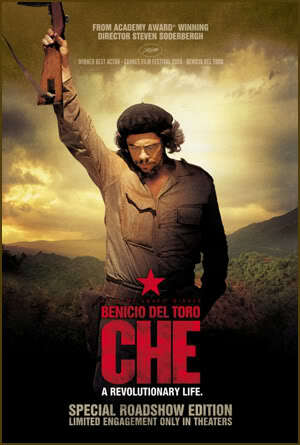 Still, they go further into the jungle to a point where Che believes he can begin his campaign. haha try donlod..kalau ada yg corrupt bgtau k.. cite yg ko nak tu mlm ni siap upload..